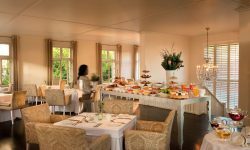 Situated in the heart of the Cape Town, away from the tourist congestion. A “home away from home” feel as guests have their own apartment-style room. Wide variety of boutique stores, restaurants and bars in the neighbourhood. Close proximity to Table Mountain (10 minutes), Clifton Beach (15 minutes) and the Victoria and Alfred Waterfront (10 minutes). A sense of history where old meets new and blends in a personal and homely manner. Table Mountain, Devil’s Peak and Lion’s Head backdrop. Easy access to and from the hotel. Free daily scheduled Waterfront transfers. Free Wi-Fi. Part of the family owned and operated collection of MORE properties. 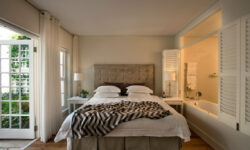 Cape Cadogan has 14 luxury one bed room apartments and 2 bed room apartments, all with en-suite. Children of all ages are welcome, baby sitting facilities can be arranged.